Hello, Girl Who Reads readers! 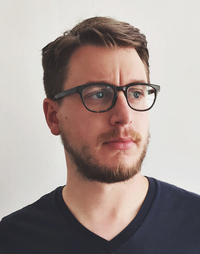 I’m Mike Lowery, an author and illustrator. I’ve had the immense pleasure of working on dozens of books for kids and adults (mostly for kids!) and last year I collected hundreds of weird-but-true little tidbits that I’d learned into a book called Random Illustrated Facts. I’m writing this little guest post because many readers have asked about crowdsourcing funding for their books and other writing projects. I’m currently at the tail end of my very first Kickstarter campaign, and I’d like to share what the process has been like so far. Maybe most of you are familiar with it, but crowdsourcing is when you post your project while still working on it, and people can pledge to support that project in advance of it being finished. So, if you’re like me and you’re working on a book but don’t want to front all of the printing and other miscellaneous costs, you can get folks to donate money to make it happen. In return, they’ll get a copy of the book whenever it’s actually printed. Kickstarter and Indiegogo are the two largest crowdsourcing sites. I’ve personally backed a few book projects, some easy-to-fill-up water balloons, waterproof shoes, and a documentary about a band that I like. As I mentioned, I make my living as a children’s book author and illustrator, but for the past 20 years, I’ve also been keeping a sketchbook every day. I take one with me wherever I go. When I flip back through these sketchbooks, some of my favorite pages are from when we’ve been traveling. Travel is a HUGE part of my life, and I’ve always made a point to take several big trips a year. I like to draw about my experiences in a new country and try to focus on the more interesting or funny moments. I draw new foods, people we meet, the things we see…but I also draw moments that stood out to me. Like that time I broke my tooth in the jungle in Cambodia, which maybe wasn’t super fun at the time, but made for a funny story later. 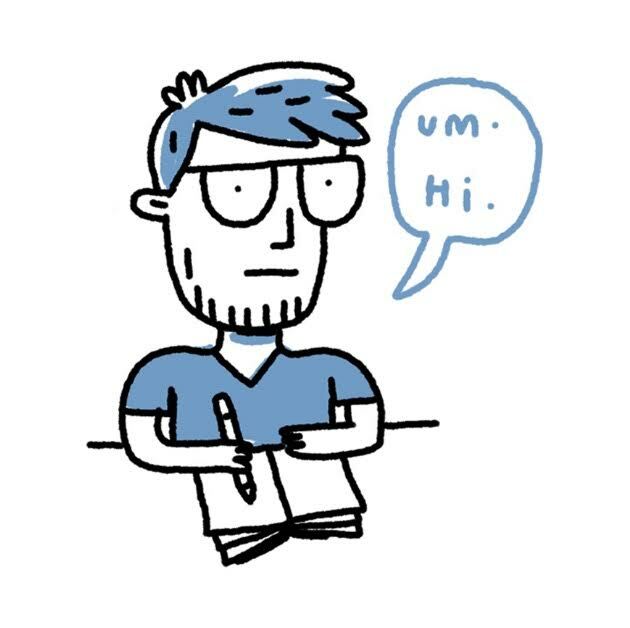 I started posting these sketchbook pages online, and slowly built up a following of folks who (for some reason) liked reading about the adventures of a slightly awkward dude traveling all over the world. A few months ago I started thinking about how I could collect some of my favorite pages into a book. Since most of the publishers I work with are children’s book publishers, a book like this wouldn’t have been the best fit. And it’s not exactly a comic, since it’s just little clips of lots of different trips rather than one long story from the beginning of the book to the end. I decided to crowdsource the project so that I could reach out directly to my followers and friends and print it exactly the way I wanted to. One big pro is that I will make way more, per book, when they sell. The biggest cons are: I have to handle printing, shipping, distribution, marketing, and everything else with the books. BUT, I’d seen some other books do pretty well, so I decided to go for it. My number one goal for this project was to get it printed and to break even. That’s it. I wasn’t hoping to make much money from it, but it’s just something I wanted to do. I think that’s a good mindset to have when going into it. Before I launched the project, I had to do a ton of work. I created a video promoting the project (this isn’t required but most of the very successful projects have a video), found two print houses and got quotes for the printing, and came up with other rewards that might get folks excited to pay a little bit more to help guarantee the project was funded. For my campaign, I added in limited edition silkscreen prints and even some custom artwork. I also created a level just for my mom to donate $1,000, but she didn’t do it. I think it’s because she likes my brother more than me. Just kidding, she likes me best. I looked at tons of current projects on Kickstarter and past projects, and I tried to find articles that went over some do’s and don’ts. Whenever I take on a new project I never assume that my gut instincts are correct, and I like to do a significant amount of research before I get started. After adding up estimated printing and shipping costs, I decided to set my goal at $8,000. I think some folks might think that sounds high, but if I’d raised that amount, I would’ve basically broken even. Why? Well, printing requires a minimum of 500 copies for full color, hardbound books. And the per-unit price is really high at only 500 copies. They end up being about 10$ each. However, if you buy 1,000 copies I could get it down to less than 6$ per book and so on. So, if I bought 1,000 copies at $6k, I could just pocket the remaining $2k right? Nope. Shipping is another HUGE expense. I’d have to add shipping to get the books from the printer to me, and then to get the books to the buyer. I’d also needed boxes to ship them in, thank you cards, etc. I’m happy to say the project was fully funded in just a few days. We are at around 19k now, and it looks like we might break 20k (fingers crossed!). Again, it doesn’t mean I’ll pocket everything past the initial $8k ask. Selling more books means now I have to buy more books (! ), but it does mean that now the books will be cheaper, so I will actually make a little more for all of the hard work that goes into the process. Halfway through the campaign I also added another incentive to get folks excited to help out. I added a little guidebook-zine-thing that has tips on how to keep a travel sketchbook of your own. I did this to help reach a slightly different audience with the campaign, to add another way to get people to pledge slightly more and also because people were asking for it. 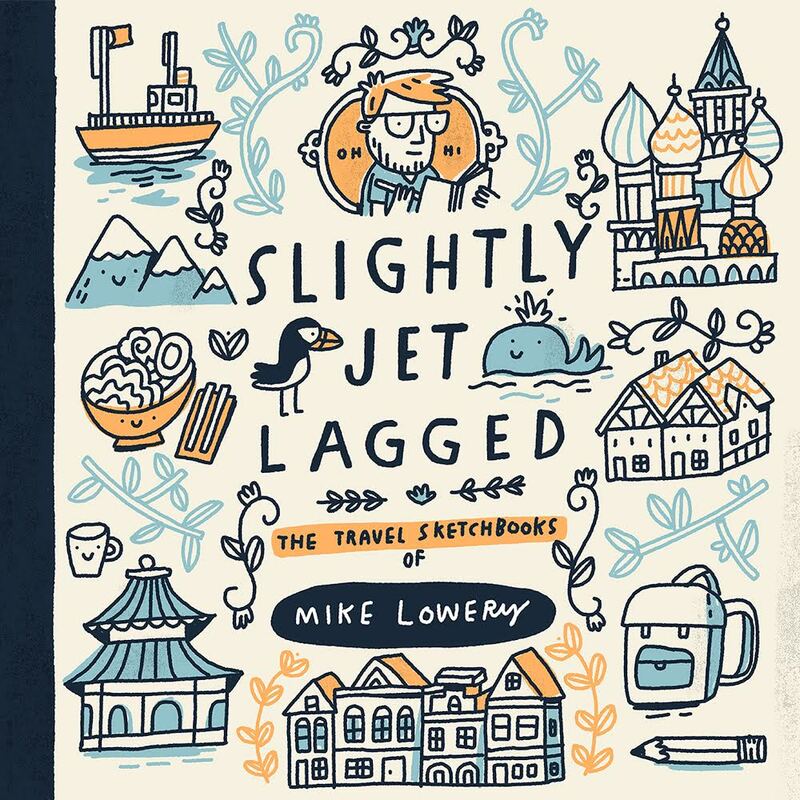 I realized that a lot of people buying the book were also artists or travel enthusiasts themselves, so a little book like that might get them interested. Adding this reward was a good move, and the campaign got a nice surge when it was posted. Well, it’s not over just yet, so I can’t say yet if I’m totally glad that I decided to crowdsource the project or not. I’ve still got at least 85% of the work ahead of me. I have to scan and design the book, have it printed, and fulfill the orders. After that, I’ll start reaching out to some shops to see if they’d like to carry the book. So, I might totally regret trying to do it on my own, or I might be really thankful and try to do another one in a year or so. For now, I’m just excited that so many people like my drawings and want to own them in some way. That’s all for now! I hope that answered some of your questions about crowdsourcing! You can see my (in progress!) campaign here: Slightly Jet Lagged. 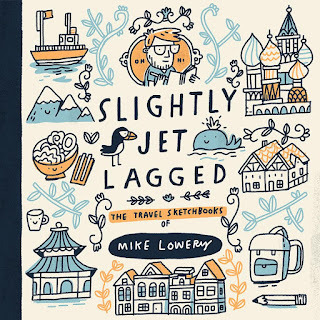 Mike Lowery is an illustrator whose work appears in everything from greeting cards to children’s books—and Workman’s Kid’s Awesome Activity Calendar. In Doodle Adventures™ – the first series Mike has written and illustrated – he invites readers to doodle along with him and Carl the Duck. Mike shares more of his work at mikelowery.com and @mikelowerystudio on Instagram. He lives in Atlanta, Georgia with his wife and daughter.